Microsoft's productivity-focused Surface Laptops were met with a fairly positive reception when they launched back in May. However, not everybody was a fan of the devices' stripped-down Windows 10 S operating systems. The OS, created to compete with Google's lightweight Chrome OS, only allows customers to download and use apps from the Microsoft Store. 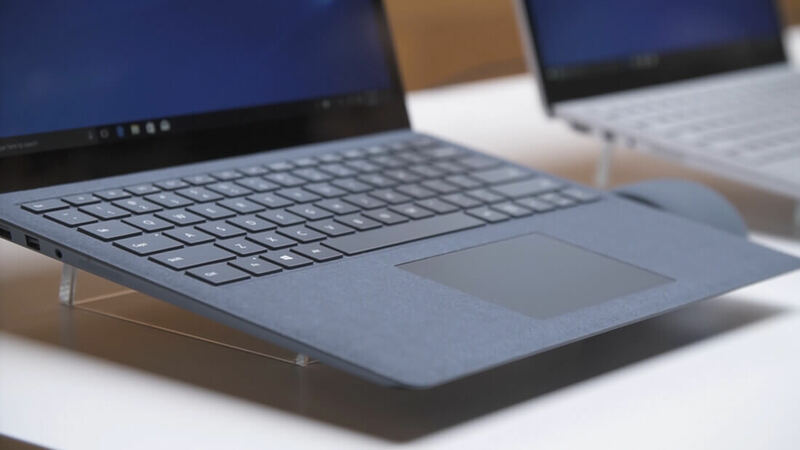 Well aware of the fact that some of their customers wouldn't care for Windows 10 S, Microsoft has been handing out free Windows 10 Pro upgrades to Surface Laptop owners for quite some time, an offer that will run until March 31. If you do take advantage of the offer but you happen to change your mind later, the company has said that you'll be given the opportunity to switch back to Windows 10 S once. If you want to skip the Windows 10 Pro upgrade process entirely, the software giant has you covered. As reported by Neowin, you'll now be able to buy a Surface Laptop with Windows 10 Pro pre-installed via the company's commercial website. The caveats are that it'll cost you an extra $100 - bringing the base model's price to $1,199 - and the device won't offer any hardware improvements over its Windows 10 S counterpart. Still, if you've been avoiding Surface Laptops due to the hassle of upgrading from Windows 10 S to Pro, now is the perfect time to pick one up.